Shuler made these comments explaining the recent policy changes at the Chi Phi Educational Trust. To bolster support for the $10 million Changing Lives Campaign and to provide opportunities for Alumni to support Chi Phi students and Chapters at the grassroots level, the Educational Trust recently revised policies and opened Chapter Excellence Funds for every active Chi Phi Chapter and select inactive ones. “When your Chapter and your Alumni support your CEF, National is able to give more back to your Chapter,” explained long-time Gladfelter Circle member David Davis, Theta Delta 1973. “The availability of scholarship money in a Chapter Excellence Fund helps us recruit more and better members, which in turn increases the number of members that contribute to the Chapter, pay dues and rent rooms/beds in the house. Quality members help improve retention, and they generate more income that, in turn, increases our scholarship fund. It is a very good circle to be on!” he explained. Theta Delta Alumni have embraced the concept so much that the Theta Delta CEF now has a balance of more than $153,000 and provides more than $7,500 in funds each year for scholarships and educational programs. Donors to the Changing Lives Campaign have further pledged more than $1 million to the Theta Delta CEF which will be realized over time. Davis originated the idea of a Chapter Excellence Fund program when he served as Chairman of the Educational Trust from 1998 – 2000. However, it took many years and a paradigm shift in thinking for the Trustees of the Educational Trust to realize that part of their mission is to work closely to support the fundraising, scholarship and educational initiatives inspired at the local Chapter level. 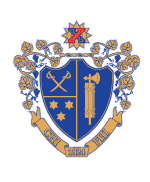 Every active Chi Phi Chapter now has a Chapter Excellence Fund available to accept Alumni contributions that are restricted for that Chapter. Donors can contribute online and via credit card, check or bank draft. There is no need for a Chapter or Alumni Association to open a brokerage account to accept stock gifts. Donors can create complex planned gifts that come to fruition after their death but that need a qualified 501(c)(3) foundation to accept the gift. The Trust complies with IRS regulations saving each Alumni organization that time and expense. The Trust provides accounting services for each CEF. The Trust pools the funds in each CEF to obtain a lower cost than if funds were invested individually. Your CEF benefits from the services provided by professional investment advisors. Your Chapter will achieve a sustainable competitive advantage for recruitment by enhancing the benefits it is able to offer to quality members. Individual members have the opportunity to receive scholarships, attend the College of Excellence and benefit from other qualified educational programs. The Trust will help you raise money for your CEF through fundraising workshops, targeted mail solicitations and face-to-face fundraising efforts. In some cases, direct costs associated with such specialized efforts may be deducted from the respective fund or billed to the appropriate Alumni organizations. Your CEF provides a loan source allowing you to pay back your CEF with interest instead of a private bank. Gifts to CEFs are handled by responsible trustees to ensure that the money is used for its intended purpose and is invested wisely. A CEF establishes a long-term reserve for a Chapter to draw upon for educational purposes, future house construction and renovation loans. This effectively minimizes the need for frequent appeals to Alumni. Gifts to CEFs are tax deductible. Gifts to a Chapter house corporation or Alumni Association do not enjoy similar tax benefits.